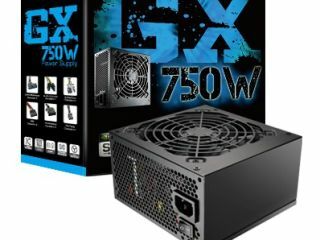 Cooler Master has announced its latest range of power supply units for PCs, with the GX-series aimed squarely at gamers. The series of three PSUs – 550W, 650W and 750W – cater for mid to fairly high-end PCs, with plenty of oomph for the next-gen, power-greedy graphics cards. The GX range apparently features up to 85 per cent power efficiency and are 80 plus rated. "The Cooler Master GX series comes with a range of advanced features such as a powerful single +12V rail, huge bulk capacitors with a >17ms hold up time which means that the power supply will be able to handle peak loads better, low noise dual layer EMI filters that reduces noise in the power lines, an energy efficient dual mode Active PFC/PWM controller, an efficient transformer that reduces the 5Vsb power loss when the system is in standby mode and a wide range of protection designs that will prevent damage to the system in case of a malfunction," adds CM, somewhat breathlessly. The MSRP for the PSU are £55, £63 and £75 respectively.